Malaysian and Singaporean street food, a Hong Kong sandwich shop, and delicate desserts, for three months only. In a narrow ground-floor space a few blocks from Queen Victoria Market, a different kind of market is up and running. 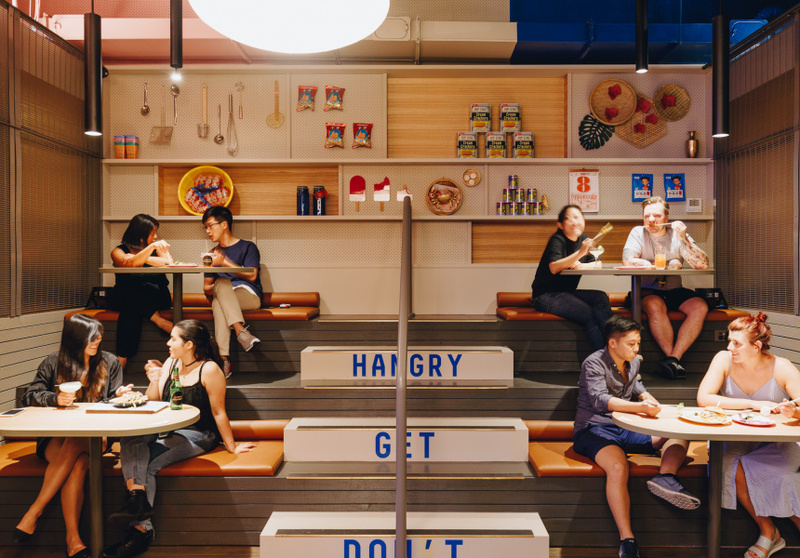 HWKR is a new Asian hawker-hall concept that will feature a rotating cast of tenants every three months. 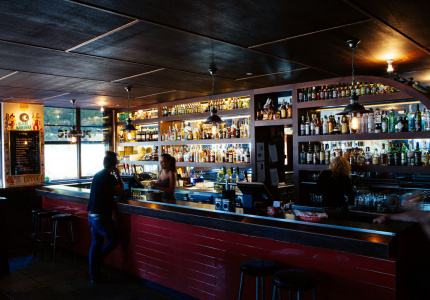 For the first instalment – running until April – Sydney-based chef Reynold Poernomo (previously of MasterChef) and his brothers are running their Koi Dessert Bar and their cocktail joint Monkey’s Corner. At Monkey’s Corner you’ll find ox tongue, and king prawns with a kombu emulsion. Koi is offering its signature specialty sweets including Poernomo’s famous Mango Yuzu, Moss (made with pistachio sponge and apple sorbet) and Strawberry Pillow, as well as other delicate desserts and elaborate cakes. MasterChef seems to be a theme for the first round; season 2017 winner Diana Chan is another debut tenant. She’s bringing her hawker restaurant, Chanteen. “It’s Malaysian and Singaporean street food, inspired by my family recipes,” Chan says. You’ll find lobster brioche drizzled with a Singapore-style chilli crab sauce and traditional Malaysian rice noodles. Pork belly, chicken and tofu is basted and marinated for hours, then finished over Murrumbidgee charcoal. Her specialty? Satay. The proper way: no shortcuts. That means no less than 20 ingredients, using a recipe from her father. 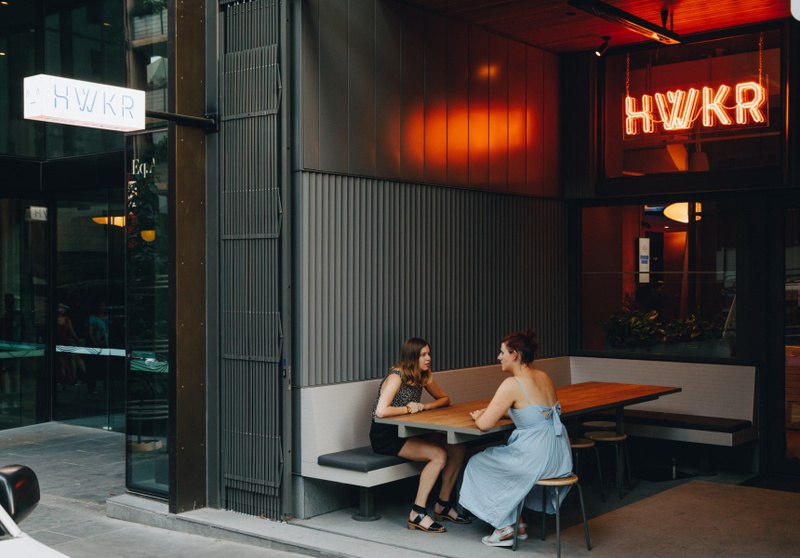 Hong Kong-based Bread & Beast has made its way to Melbourne for its Australian debut. It's slinging Asian sandwiches made with premium ingredients and playful flavour combinations. The Ngau Lam ‘Wich pairs slow-cooked beef brisket with spring onion, pickled daikon and mayo. Rounding out HWKR’s first chapter is Khao by Rice Paper Scissors. 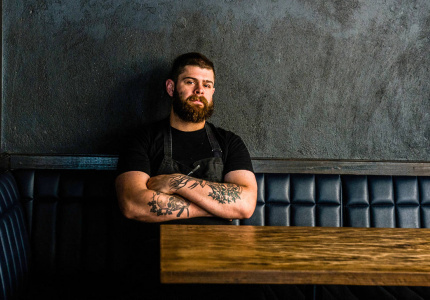 Owners Shane Stafford and Rahmie Clowes say their menu reflects dishes and flavours found in Bali and the Philippines. 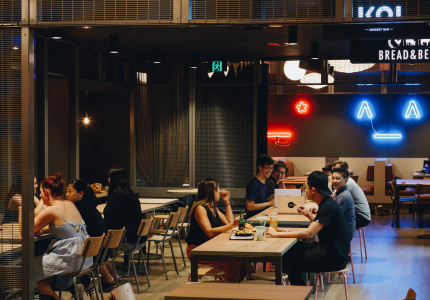 Craig Tan Architects and BrandWorks designed the space, which is filled with lanterns, neon lights and timber tables. Each stall is clad in mesh, with its name lit up in LED lights. 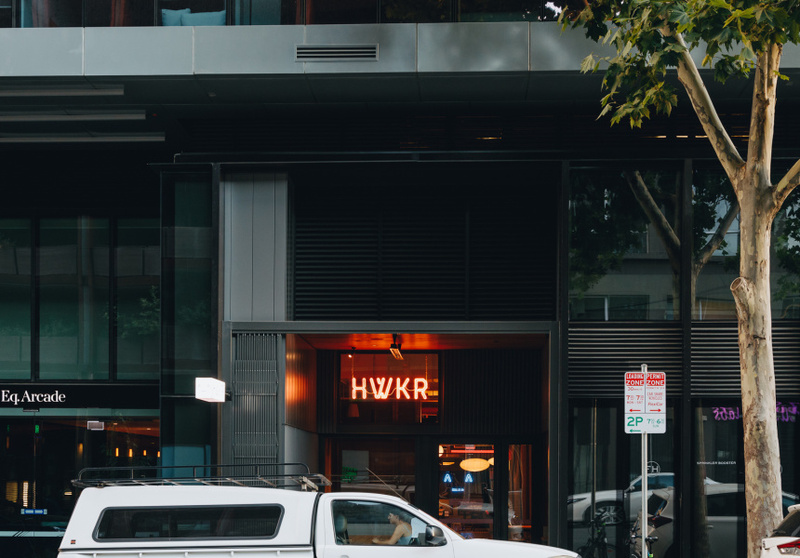 HWKR is backed by developer ICD Property – the venue is located on the ground floor of one of its residential CBD towers. The food hall’s only permanent tenant, Manymore, is run by the developer’s charitable arm, the MAI Foundation. 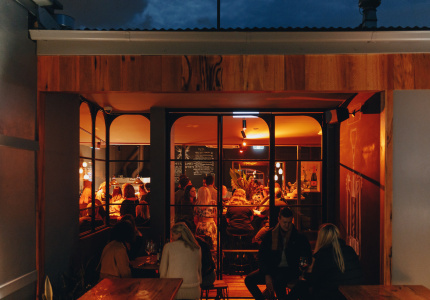 The cafe-by-morning, bar-by-night will donate 90 per cent of its profits to food-related charities and initiatives. 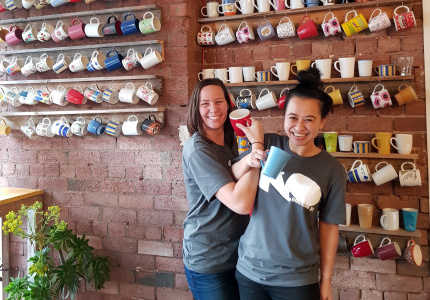 The remaining 10 per cent will go to charities such as Ygap and the YMCA.